Get-Racing were definitely one of the major star attractions at Party in the Park last weekend. 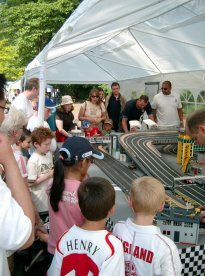 Both big kids and little kids alike enjoyed playing on the giant scalextrix set. 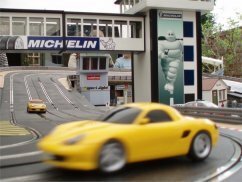 It has such nostalgic appeal for the Dads whilst the kids just love the chance to beat their Dads in a game of slot car racing. The staff are professional, the set-up is amazing and it was a pleasure to have you at our event.